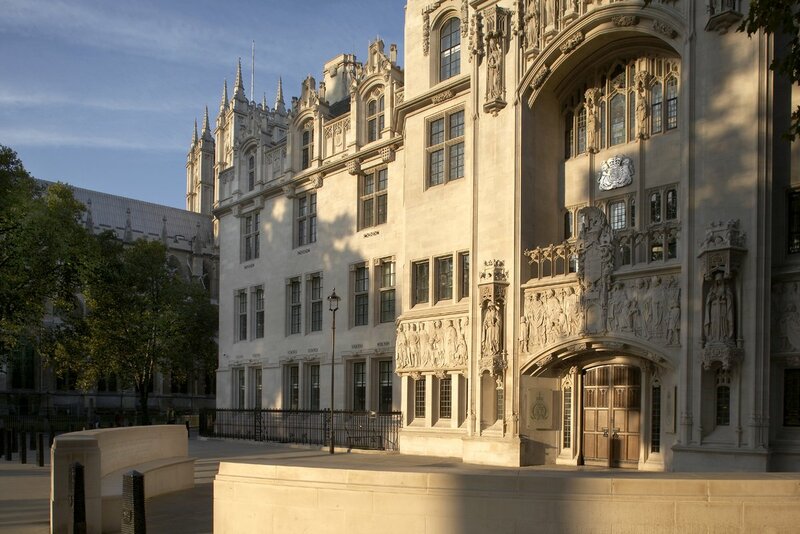 The Fourth Section of the European Court of Human Rights has handed down judgment in James, Wells and Lee v United Kingdom - Judgment. It concerns three men who were given Indeterminate sentences of imprisonment for public protection - "IPP." So, what had these men been up to? James - On 28 September 2005 Mr James pleaded guilty in the Crown Court to unlawful wounding with intent. He had previous convictions for, among other things, battery, common assault, affray, disorderly behaviour, racially abusive behaviour and assault occasioning actual bodily harm. A pre-sentencing report dated 27 September 2005 prepared by the Probation Service referred to the offence forming part of a pattern of violence and threatening behaviour largely linked to Mr James’ excessive drinking. It recommended counselling to address alcohol and substance abuse. The sentencing judge accepted that Mr James was dangerous, particularly when he drank alcohol. He was sentenced to an IPP sentence pursuant to section 225 of the 2003 Act, with a tariff of two years, less time spent on remand. His tariff therefore expired one year and 295 days after the date of sentencing. Wells - Mr Wells was convicted of the attempted robbery of a taxi driver. He had previous convictions for both violent and acquisitive offences, linked to the misuse of drugs. On 14 November 2005 he was sentenced at Bolton Crown Court to an IPP sentence with a tariff of 12 months, less 58 days spent on remand. Pre-sentence reports assessed him at high risk of reconviction but as posing a low risk of causing serious harm save for a medium risk with regard to prison staff. Lee - On 13 April 2005, while under the influence of alcohol, Mr Lee caused criminal damage to a flat in which his former wife and young children were present. He was arrested and remanded in custody the following day. He had a total of eight previous convictions, including offences of assault occasioning actual bodily harm and criminal damage. Following his conviction, on 2 September 2005 Mr Lee was sentenced at Bolton Crown Court to an IPP sentence with a tariff of nine months, less time spent on remand. His tariff period therefore expired 163 days after sentence. On 4 April 2005, by virtue of section 225 of the Criminal Justice Act 2003 (“the 2003 Act”), indeterminate sentences for the public protection (“IPP sentences”) were introduced. These sentences are indeterminate sentences (i.e. sentences of no fixed length), and, like sentences of life imprisonment, require the direction of the Parole Board in order for the prisoner to be released. A minimum term which has to be served before a prisoner can be released, known as the “tariff”, is fixed by the sentencing judge. The IPP system was "softened" by the Criminal Justice and Immigration Act 2008 (“the 2008 Act”) to deal with the problems encountered. In particular, the IPP sentence became no longer mandatory and it now only applies to cases where, if imposed, the tariff would be fixed at more than two years, subject to certain limited exceptions. At the heart of the scheme is the system for eventual release of the prisoner. The responsibility for assessing the suitability of a prisoner for release rests with the Parole Board and is normally dependent on the prisoner having completed specified courses aimed at rehabilitation. (I do not propose to consider here the effectiveness of such courses). In May 2009, the men's cases were considered in the House of Lords and they lost although the judges expressed very grave concerns about the implementation of the IPP scheme. Lord Judge noted that the statutory regime for dealing with indeterminate sentences was predicated on the possibility that, in most cases, prisoners could be reformed or would reform themselves. A fair opportunity for their rehabilitation and the opportunity to demonstrate that the risk they presented at the date of sentence had diminished to levels consistent with release should therefore be available to them. Several others of their Lordships commented on the problems incurred following the entry into force of the legislation introducing IPPs. Lord Hope of Craighead indicated that the Secretary of State had failed deplorably in the public law duty that he had accepted when he persuaded Parliament to introduce IPP sentences. Lord Carswell referred to the “draconian provisions” of section 225 of the 2003 Act, which he said left no room for the exercise of any judicial discretion and created entirely foreseeable difficulties when sentences for imprisonment for public protection were passed with short tariff terms. Having expressed such disquiet, their Lordships nevertheless did not rule that the IPP scheme breached the European Convention. Hence, the gate to the road leading to Strasbourg opened. Firstly, it is important to note what the court did NOT rule. It did not say that IPP as such was bound to breach the European Convention. The problem lay in the lack of resources to enable the prisoners to demonstrate their suitability for release. 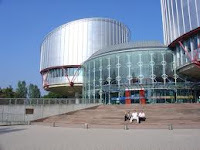 The court held unanimously that there has been a violation of Article 5(1) of the Convention in respect of the applicants’ detention following the expiry of their tariff periods and until steps were taken to progress them through the prison system with a view to providing them with access to appropriate rehabilitative courses. Sums by way of "just satisfaction" were ordered to be paid. This deals a blow to indeterminate sentences (IPP) but the sentences are not in themselves unlawful, despite widespread reporting to that effect by the press. The 3 prisoners concerned were able to demonstrate (as many others will be able to) that they had not been offered rehabilitation courses which would assist them in obtaining release. It was for that reason, and that reason alone, the court found in their favour. The IPP sentencing framework is due to be effectively repealed later this year (under the Legal Aid, Sentencing and Rehabilitation of Offenders Act 2012), but that will not affect the position of existing prisoners. Unless the government urgently addresses the availability of courses for IPP prisoners many more prisoners will be seeking release and/or damages on the back of this judgment. The ruling itself has no immediate effect as it has been stayed for 3 months to allow the government an opportunity to request the Grand Chamber to consider the case. The reform of the law in this area under the Legal Aid, Sentencing and Rehabilitation of Offenders Act 2012 was considered here and in this post on LASPO Part 3. Mr Grayling MP - the new Justice Secretary - told the Commons: "I am very disappointed by the decision. It is not an area where I welcome the court seeking to make rulings." Sadly, this anti-European Court rhetoric is all too predictable! IPP is not, in itself in breach of the convention and the fault lies plainly and squarely with the British politicians who failed to implement the regime properly by ensuring the provision of adequate resources which, on any view, were clearly required. The BRITISH judiciary warned them of this. The politicians ought to be man enough to admit they were responsible for this debacle. If I were a betting man, I would say that the Grand Chamber is unlikely to reverse the main thrust of this judgment and may decide not to even entertain the matter. We shall see. Legislation has been passed to abolish the IPP sentence and has done so. But has done nothing about the thousands of prisoners already serving the sentence and who are completely unaffected by the recent legislation. This lack of action has resulted in no progress being made towards dealing with the thousands of IPP prisoners long overdue for release some by 5 10 years and who have no idea when or indeed if – they will ever be freed. This is a crime against humanity. We are talking about people here who have paid for their crime who have finished there sentence who want to return home to their family’s build their life’s back up. Apart from the IPP prisoners themselves, the real losers are their family and friends who are often left struggling to understand the realities of an IPP sentence often at a loss as to what to do about the nightmare situation in which they find themselves. Those poor IPP prisoners, of whom it was found as a matter of FACT in the sentencing stage of their criminal trials, having been convicted of serious offences, that per s225(1)(b) "the court [was] of the opinion that there [was] a significant risk to members of the public of serious harm occasioned by the commission by him of further specified offences." Let us cry ourselves to sleep for them, and pray / agitate for their swift release.